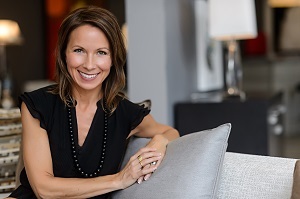 I’m so pleased to introduce you to Melanie Kasper, the founder of www.societywellness.com. We share a passion with Melanie on educating people about the benefits of living a holistic lifestyle. What’s that? It means making choices that support your whole being — mind, body, and spirit — through natural methods. This holistic approach can lead to a balanced and healthier life. Melanie shares her research and experience on her website to help support people who want to live healthier and energetic lives. And while she enjoys cutting-edge research, she’s careful not to make exaggerated claims, which we really appreciate! You’ll enjoy her advice below on how essential oils can be incorporated into a healthy, holistic lifestyle. How did you become interested in health and wellness and what motivated you to launch Society Wellness? Having been a professional dancer, I have spent much of my life pursuing health and fitness. I was involved with management and product development for various health-related companies and health food stores. I am also a certified personal trainer and yoga instructor and believe in a holistic approach to being healthy and feeling good. I launched SocietyWellness.com to share research, personal stories, and experiences on how to make healthy choices. I’ve discovered that a deep breath, a good workout, some stretching, a healthy snack, and an essential oil—can go a long way toward your optimal health. When and how were you initially introduced to essential oils? I was first introduced to essential oils in the 80s when working in a health food store. Since I adhere to the belief that plants are medicine, essential oils made sense to me. I studied Robert Tisserand and read his books on aromatherapy. My current research is focused on electrotherapy and I believe that essential oils should play a synergetic role with these modalities as well. Which essential oils and blends have you found most helpful for a holistic lifestyle? I have two favorite blends. One is e3’s Adrenal Support. Today’s modern lifestyle is a direct hit to our adrenal glands, and if they can’t keep up, you may find yourself in a health slump. This blend is designed to stimulate circulation to the adrenal glands, and revitalize, and relieve the stress that can lead to burnout (also known as adrenal exhaustion). Right out of bath or shower while skin still wet, 1-3 drops in one hand, rub hands together and start at the area of the kidneys on the back (adrenal glands sit atop each kidney) and then quickly spread over rest of large surface areas of the body. Throughout the day, if I am changing clothes to go to the gym or out to dinner or getting ready for bed, I put 1-3 drops in one hand with a bit of unscented natural body lotion or oil and just focus mainly on the kidney area of the back. And anytime during the day that I am home and the bottle is nearby and I can just open it up and take a deep breath. Another blend that has been really popular is e3’s Courageous Blend. As a yoga instructor, I frequently get clients asking me about this blend. They find it gives their yoga routine a positive boost! I can’t list all the essential oils I recommend but here are a few. I use a holistic approach to wellness so I’ve also found Rosemary to be great essential oil to use along with acupuncture points and color therapy. I’m also fascinated about research on Clove essential oil when combined with Live Cell Nutritional Blood Analysis. I’ve also found Frankincense, Geranium, and Sage essential oils to have a profound impact on health and wellness. You promote education and awareness on your website. What should consumers know before purchasing and applying essential oils? I’ve found that some of the bigger companies aren’t my preference, because the focus is on marketing instead of education. I would say beware of exaggerated “claims”, “certificates”, “grades”, and “seals of approval”, that don’t really mean anything because they are not national or international certifications. As a consumer, you want to verify that independent lab tests have been done to test for purity and quality. Two important tests should are GC/GLC & MS testing which will determine if the essential oil is free of pesticides, synthetics, and are unadulterated. It will also determine if the essential oil’s chemical constituents are in the range necessary to be effective for the intended use. You should be able to contact the essential oil company and easily obtain the details regarding the extraction process, part of the plant used, and the country of origin. How did you connect with Caryn and Essential 3? 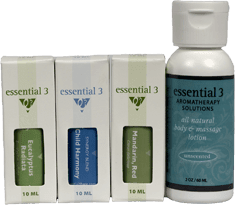 I was introduced to Caryn and essential 3 by a massage therapist. I spoke with her on the phone and we immediately clicked! The amount of time of in-depth education the staff of e3 puts into their company’s products especially caught my attention. It can be hard to find companies that are not all smoke and mirrors. When you learn to ask the right questions, layers of marketing can usually be peeled back to reveal something you are not too excited about anymore. This is not the case with e3. Simply put, they do everything for the right reason. Thanks Melanie, for sharing how essential oils can be part of a holistic lifestyle. 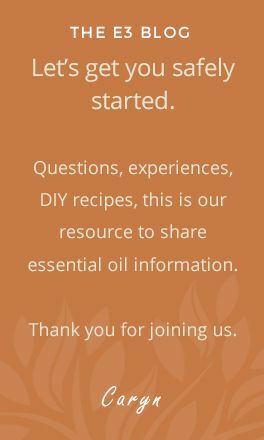 Getting educated about essential oil safety is so important! Visit the Education section of our website for all the resources available to you. As always, we have our staff of clinical aromatherapists and healthcare professionals available to answer any of your questions. Combine Essential Oils and Acupuncture: A Win-Win!